LG 50PH660V review | What Hi-Fi? 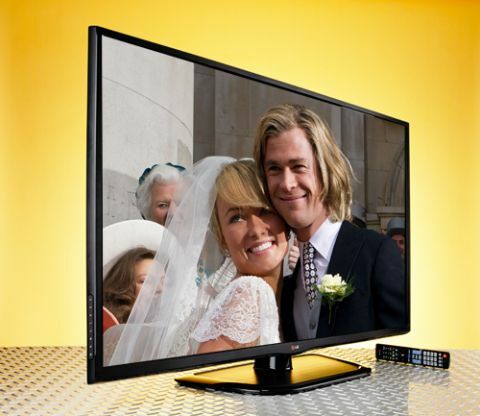 LG’s 50PH660V is a budget plasma TV – and it very much feels it. For a start, its design looks cumbersome, all thick shiny black plastic with a matching chunky stand. There’s nothing elegant about this set’s looks, and it doesn’t try to hide it either. It does have a satellite input as well as the usual aerial socket, though, which is certainly a plus point. Switch the 50PH660V on and, even after it’s set up and calibrated, the picture from the Freeview HD tuner looks more like a picture from a plasma three or so years ago than a new 2013 model. We’ve seen quite a few fine plasma TVs this year with particular strengths in black levels and contrast – things the industry has worked on improving from the plasmas of a few years ago. Yet this is where the 50PH660V is weakest. The picture lacks overall brightness, coming across dull and washed out. Blacks seem almost to have a grey filter across them, and fail to match up to the black levels of any number of rivals. Even when the backlight is taken right down, we failed to get anything close to where we consider the black levels should be. Contrast also is poor, and the set was unable to reproduce whites with any punch – nor colours for that matter. At least this helps the LG to create a very natural, subtle colour palette. Detail levels are respectable, but some detail is lost in darker scenes as a result of the set’s poor contrast. This is an active 3D TV but, rather meanly, it doesn’t come with any glasses in the box. Motion is handled well thanks to LG’s TruMotion processing. We found the settings we came up with using THX optimizer software gave the best results, but the Smooth preset will do a good job if you’re not one to fiddle. There’s decent sound here too, with LG seemingly taking advantage of the 50PH660V’s chunkier design to house some better speakers. Voices are crystal clear and with plenty of depth, and there’s weight here that gives a decent kick to explosions without ever sounding boomy or overdone. It’s an overall well-balanced and listenable sound, with a decent soundstage to boot. LG’s Smart TV service has a decent number of apps available, including LoveFilm, NetFlix, BlinkBox and BBC iPlayer. Another catch up service or two wouldn’t go amiss, though. It’s a simple enough platform to use, too, with customisable ‘cards’ that allow you to organise your apps into categories. The last card is dedicated to ‘Smart Share’, where you can connect to other devices on your home network to share photos, videos and music. LG’s remote app is nicely designed with the familiar pink hue of its TV menus. In it, you’ll find basic TV functionality such as volume and channel controls, alongside things like a free-form cursor pad for more easily skipping around the smart TV menus. It’s responsive and easy to navigate, though you may find the cursor sensitivity takes a while to get used to. You can also view the TV programme guide directly on your phone, browse through channel lists and simply click a programme to view it on the big screen. Need to go make a cuppa? The app also includes the ability to watch the programme currently on the TV, on your device, so you needn’t miss a thing. The LG 50PH660V is a story of two halves, but only one outcome. While its picture quality leaves plenty to be desired, there are some great things at work here too, including a decent smart TV service and a strong audio performance. Of course, if there’s one thing that’s paramount in a TV, it’s picture quality, and the LG 50PH660V’s simply left us wanting more. It is undeniably cheap, but with the likes of the Samsung PS51F5500 snapping at its heels for just £70 more, it makes this LG a purchase that’s hard to recommend.